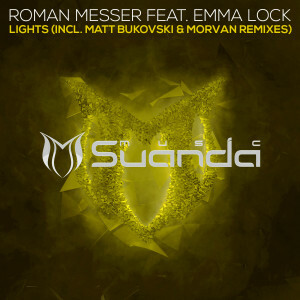 Huge collab of Roman Messer with beautiful and emotion vocal by Emma Lock from Britain called ‘Lights’, now debuted on Suanda Music! The track was made in support of the debut album of Roman Messer called ‘New Life’, released in 2015. ‘Lights’ is made in the corporate style: killing bassline, sensual piano in breakdown, decorated with beautiful vocals of Emma and firm Lead in the climax, gives us a new club hit from Roman Messer. Uplifting Remix from Matt Bukovski and Progressive Remix of Morvan included in addition to the Original Mix in the single.